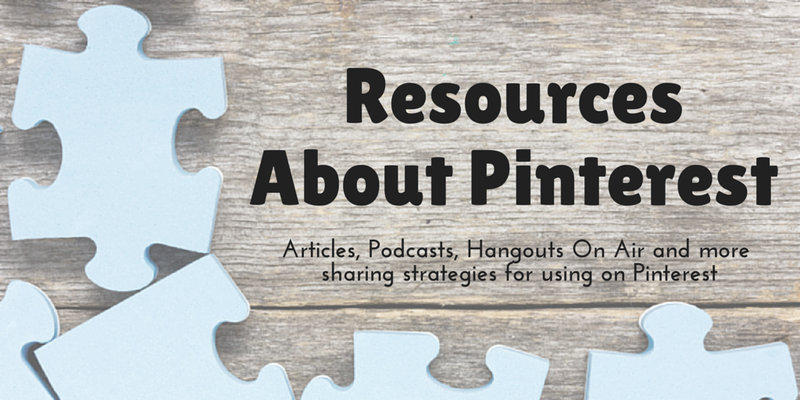 Here’s a list of resources of places I’ve shared about our Pinterest account and knowledge learned along the way. Pinterest has the ability to highlight the efforts you are making with your business online. Before you get started be sure to Sign Up for my Newsletter where I share the latest Updates about Pinterest. We started our Pinterest account for The Educators’ Spin On It in the fall of 2011 and have shared and learned quite a bit over the years. If you have a question feel free email me or set up a Pinterest Consult Session.